Eyes are watering. Heads are pounding. And noses are being tickled throughout the national capital region. It’s peak cherry blossom week! This time of year, visitors flock to the tidal basin in hopes of seeing the delicate and fleeting Japanese flower for themselves. We’re not immune to the splendor and beauty of what is known as sakura in Japanese so when friends mentioned they bought tickets for a cherry blossom cruise out of Georgetown for Sunday afternoon, we decided to join them. Despite the shining sun and blue skies, it was windy and cold – especially out on the water. It was our first time on a cherry blossom cruise so we weren’t quite sure what to expect. But like most things in life, we kept an open mind and made the best of our chilly hour on the Potomac. It’s interesting how the cherry blossoms came to be in the tidal basin, which is part of West Potomac Park. The Jefferson Memorial, Martin Luther King, Jr. Memorial, the Franklin D. Roosevelt Memorial, and the cherry blossoms all surround the tidal basin in Washington DC. Back at the turn of the century, First Lady Helen Taft became enamored with Japanese cherry trees when visiting Japan when her husband (future President Howard Taft) was the governor-general of the Philippines. Soon after her husband became President, she received a letter from Eliza Ruhamah Scidmore from the National Geographic Society, who wished to transform the tidal basin by planting cherry trees. David Fairchild, a food explorer with the United States Department of Agriculture, also campaigned for importing cherry blossoms into Washington DC. President Taft viewed the trees as a tool to improve international relations with Japan. David Fairchild brokered the initial deal, which unfortunately involved faulty trees. But after Yukio Ozaki, the mayor of Tokyo, met with Fairchild, a second shipment of trees was organized and described as a memorial of national friendship between Japan and the United States. The cherry blossoms represent a time of renewal – one of the first signs of spring in this part of the country. The delicate flowers also represent the fleeting nature of life due to their short life span. When appreciating their beauty, you can’t help but be reminded of life’s ephemerality. The cherry blossom cruise was okay. We likely won’t go on another one – we much prefer to walk about the tidal basin. Being on the water felt too far removed to really appreciate the peak bloom. I’m not upset that we did it but after experiencing the cruise, I wouldn’t categorize it as a ‘must-do’ in the area. We were able to snag a deal on Groupon for half-price tickets – I certainly would not pay full ticket price ($30/person) for the experience. Prior to going out on the water, we finally checked out The Berliner in Georgetown, which classifies itself as a modern German beer hall. The food was delicious, and the beers were awesome, and it was kid-friendly. How can you not love a place like that? We still have a handful of months before our trip to Germany so we will definitely be back! I love exploring new places, eating delicious food, and writing about anything and everything. I’ve grown to appreciate those awkward situations that make for great stories after the fact. My husband, who happens to be in the Army, makes me laugh the hardest and my children constantly remind me that I don’t know near as much about the world as I think I do. Enter your email address to follow And Then We Laughed and receive notifications of new posts by email. 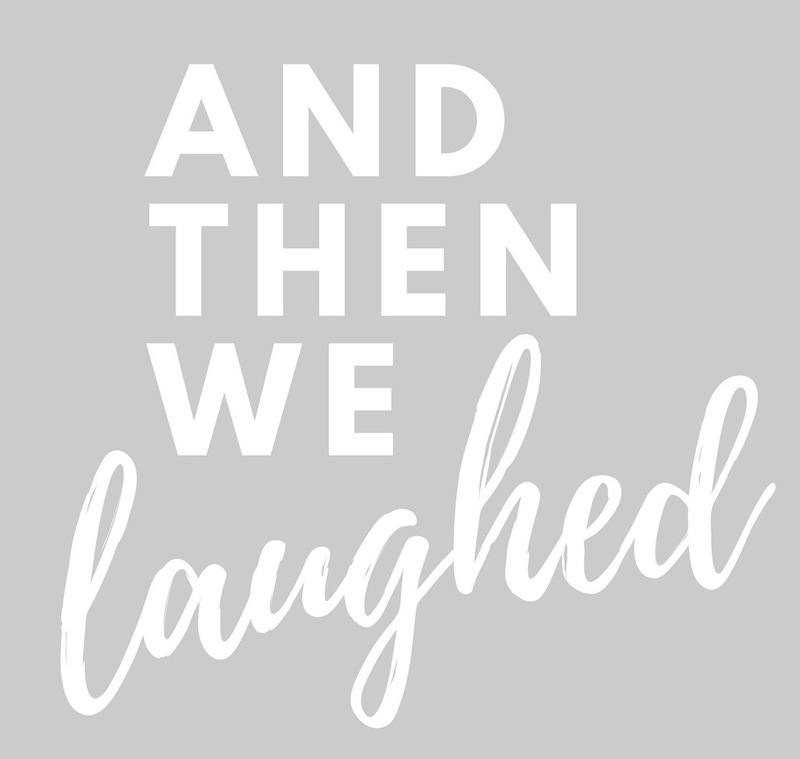 And Then We Laughed is a participant in the Amazon Services LLC Associates Program, an affiliate advertising program designed to provide a means for sites to earn advertising fees by advertising and linking to amazon.com.